By Jack Neff . Published on January 23, 2019. Influencer marketing, once a sideline for marketers, is now one of the fastest-growing segments of the industry, reshaping both the media and creative sides of the business in recent years. Influencer marketing firm Klear, which counted more than 2 million sponsored influencer posts on Instagram last year, says that number was up 39 percent over 2017. Analytics firm Points North Group estimates marketers spent more than $1 billion in North America on influencers last year. "Two years ago, around one in five marketers told us that digital influencers were among their top three sources of digital content, and that would only have grown since," says Forrester Research analyst Ryan Skinner. Many brands "are increasing their budgets for influencer activations by as much as 50 percent year on year. ... It's [becoming an] important part of the toolbox." At Clorox Co., "there's an expectation that every brand is doing some level of influencer work at a 10 percent level of their budgets," says David Kellis, the company's director of influencer marketing. Clorox reported $570 million in ad spending last year, and has its own influencer playbook for brands. "But we've had some brands this year, like Liquid-Plumr, where influencer work is the lion's share of the budget." There's still confusion, however, about how best to work with and manage influencers. To help, here's our primer. Only two or three years ago, PR departments and agencies tended to oversee brands' influencer marketing strategies. Now, such marketing is a big enough piece of the mix that general brand teams, creative agencies, media shops and shopper marketing experts all get involved. So while traditional ad agencies (rightly) see influencers moving onto their creative turf, many—possibly most—now have their own specialized influencer units. Where should it be managed? Some have brought management of influencer marketing largely or entirely in-house. Target has gone from working with more than 1,000 influencers via third-party firms to 100 when brought in-house, and says it now has more control and deeper relationships. But marketers with more varied needs, such as those that pump out lots of content to support e-commerce listings on a wide array of products, are likely to find it hard to manage everything internally. Forrester in October identified 11 top third-party firms that manage relationships between brands and influencers, led by Launchmetrics, AspireIQ and Quotient's Ahalogy. These firms also can provide analytics to track results or scour influencer posts for trends that can be used to shape campaigns and products. Unilever and Procter & Gamble are among those now paying influencers based on engagements rather than followers, to guard against paying for fake followers. Unilever Chief Marketing and Communications Officer Keith Weed believes about 40 percent of all marketers have gone this route. Trouble is, engagements—clicks, likes, shares—can be faked too. Some feel agencies can help sort out what's real. Facebook declared in November that it was weeding out fakes from Instagram, but an analysis by Points North Group found the moves had negligible impact, at least immediately. This is why more marketers are focusing on simply paying influencers to create content and spending media dollars to distribute it online, says Ahalogy CEO Bob Gilbreath. By now most people understand influencers get paid to pitch products, especially since they're required by law to disclose when this happens. Yet studies by Shareablee and others find consumers still tend to respond better to influencer-created content than they do to conventional brand ads. 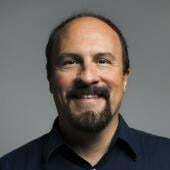 Clorox has found influencer-developed content often outperforms brand ads created by traditional agencies on brand favorability and purchase-intent surveys—even when the conventional brand ads score above average, says Kellis—often because it seems more authentic. Target is among the brands that have incorporated key influencers into ads. 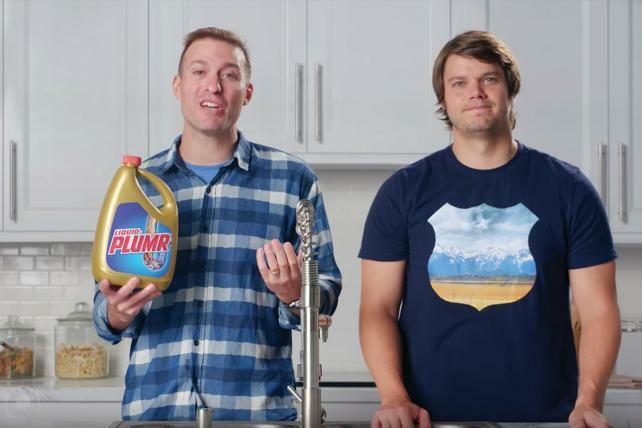 Clorox's Liquid-Plumr has gone further, turning over much of its creative approach to YouTube creators Vat19. The comedy duo had originally devised a "Will It Clog?" campaign—inspired by Blendtec's classic "Will It Blend?" work—as a prelude to a broader digital campaign. It performed so well that it essentially became the brand's digital campaign, and then figured into an integration on ABC's "Jimmy Kimmel Live!" that Liquid-Plumr promoted with 15-second TV ads. "Will It Clog?" videos were also integrated into Will Ferrell's "Funny or Die" coverage of the Rose Parade on Jan. 1. PepsiCo's Quaker Oats even uncovered a new way to serve its oats by using Ahalogy's Muse analytics program to track influencer posts: It discovered the idea of "overnight oats"—leaving a mix of oatmeal, fruit and yogurt in the refrigerator overnight—and developed it into a campaign that pitched the idea of a cold oat concoction.